We stock three plastic jugs in white high density polyethylene. We have one jug that comes in a bulk pack of 30 pieces. Bulk pack jugs are more cost effective than the 4/pack reshipper boxes, however this same jug is also available in a 4/pack reshipper. When jugs are packed in a reshipper box, the jugs are more expensive this way because of the cost of the corrugated. Our third choice is a F style fluorinated jug. This jug is packed 36 per case. There is a link below the fluorinated jug which will take you to an article on fluorination and why it might be the right choice for you. If you don’t see the jug you are looking for, please check out this page with all of our jug choices. 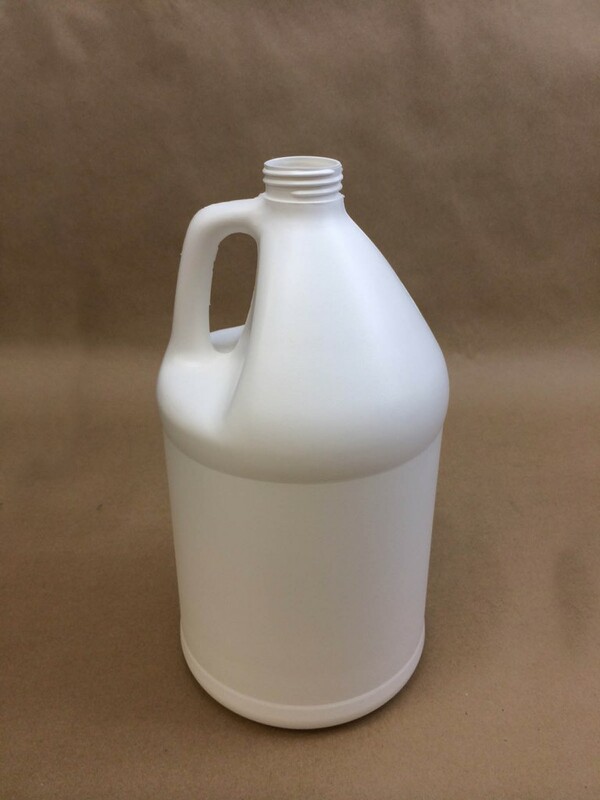 The smallest jug we stock is a 16 ounce fluorinated jug and the largest F style jug we stock is a 2.5 gallon jug. A list of our closure choices can be found on this page. We stock plastic caps, metal caps, phenolic cone caps, polytop caps and spouted caps in plastic. In metal we stock pulp & poly lined, plastisol lined and foil lined caps. As always, the shipper is responsible for being sure that the product being shipped is compatible with the container. Please call for a sample for testing with your product. Information about fluorinated jugs can be found in this article.